A Hickory, NC dentist, Dr. Salil Bhende utilizes the latest dental technology and emphasizes comprehensive dentistry, including preventive care, cleaning, fillings, crowns and bridges, root canals, implants and bone grafts, dentures and partial dentures, and other allied dental services. Healthy teeth promote good health. Lack of dental hygiene is the root cause of many diseases. Secondly, since your smile is the first thing people notice when they talk to you, it is essential to have well maintained teeth that add to your personality. At EcoDental, Hickory, we take efforts to ensure patient comfort and convenience. We try to be flexible in scheduling your appointment to ensure that your visit to our dental office is a pleasurable and stress-free experience. We are strategically located at Hickory, NC. In recent years, Hickory has grown from a tiny town to a city with population that exceeds 35000. Our dentists are easily accessible to the residents of Newton, Conover, Morganton, Lenoir, Maiden, Taylorsville and Valdese, and cover Catawba County, Burke County, Alexander County and Caldwell County. 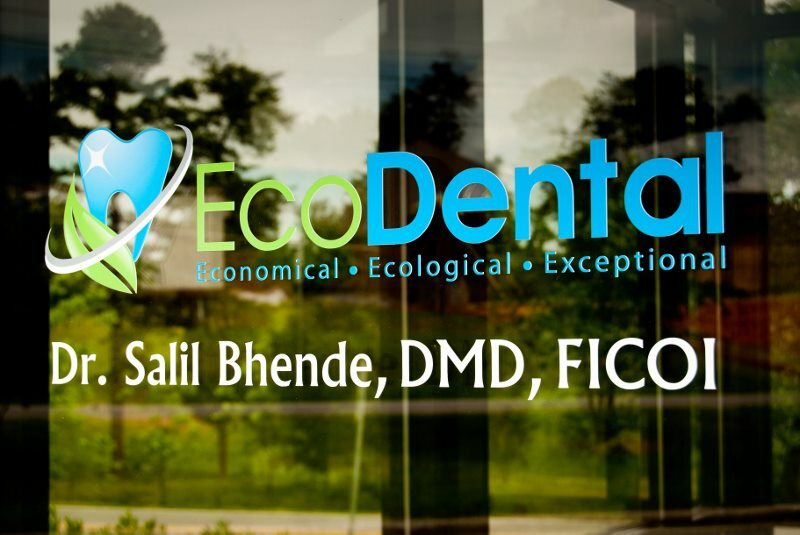 We are an environment conscious dental office in Hickory, and endeavor to be friendly with both our patients and the environment. Apart from experienced dentists, trained and caring dental staff and a soothing office ambiance is another plus point of EcoDental. Do step into our office for a better dental experience, good oral health and a great smile! We also schedule dental appointments on a Friday, or treat dental emergencies in Hickory.